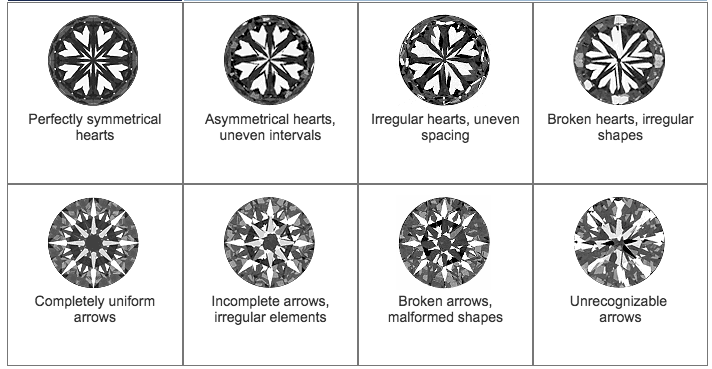 The term Hearts and Arrows is used to describe the visual effect achieved in a round diamond with perfect symmetry and angles. When observed under magnification, the perfectly aligned facets of the diamond reveal the Hearts and Arrows pattern. From the bottom, eight flawlessly symmetrical hearts can be seen then when viewed from the top, eight completely identical arrows.